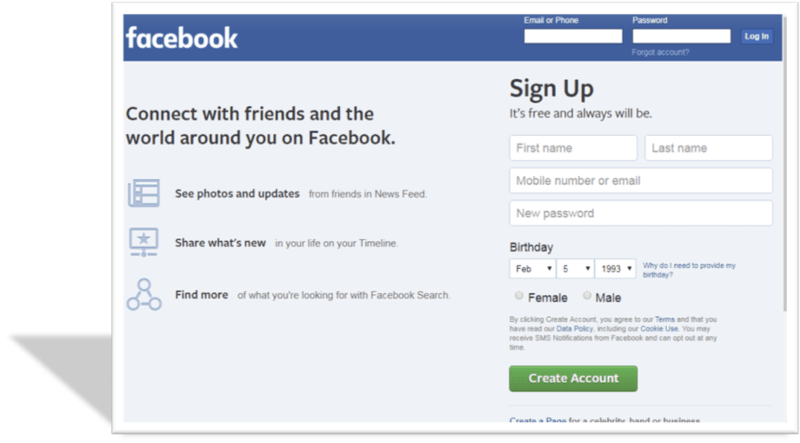 Facebook now has a billionth of registered members, family of families and friend of friends got members and even a student of an exact age. Even businesses got interested to do business by putting their products through fan pages. Because Facebook is the number one most strategic sites in social media doing strategic marketing. Because Facebook offers a good idea and strategy in doing campaign by using ads for your business and through sites or business sites linking. Such as the so called SMO or Social Media Optimization. Avoiding the tricks and strategy is the best and easy way to become a victim. 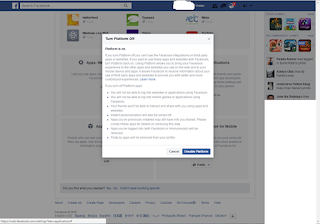 Facebook did a best way to make our accounts most protected. They sent us updated terms and conditions and policy, including new settings of our profile account. But frankly, we became idle in reading the whole thousands of words and understanding what it is inside the whole articles. Below are one of the task we need to do in our FB accounts. 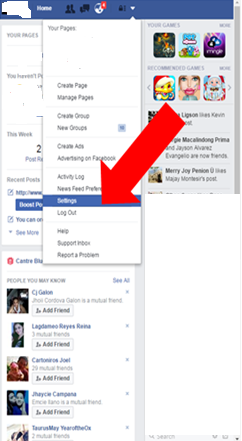 Once your account is open, click the drop down bar above right side of your screen. See the first image above. Under the drop/down menu click the settings. You will brought to the other screen window called "General Account Settings". 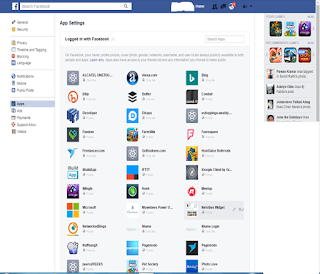 At the left side panel of your screen click "Apps". 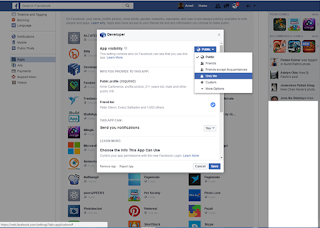 After you click it, your haft Facebook application will display. 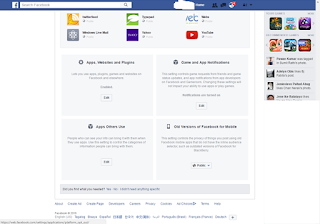 You display whole of your application by scrolling down and click "Show All". Then check all your application if it is yours or it is usable. 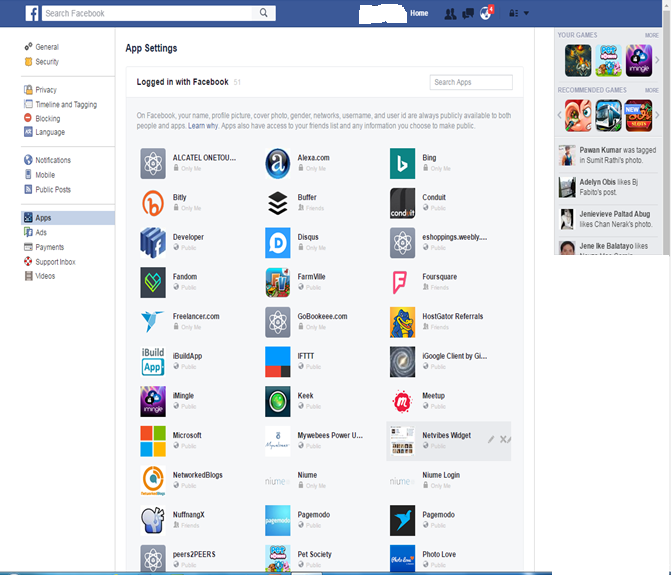 You can remove also the APPS you don't need by clicking the " X icon" after you point your mouse in your APPS. Or you can DISABLE and ENABLE you Facebook application and plug-ins by clicking the "EDIT" button at the bottom of your screen. Other settings that you can use also under the settings menu are the SECURITY, Timeline and Tagging. 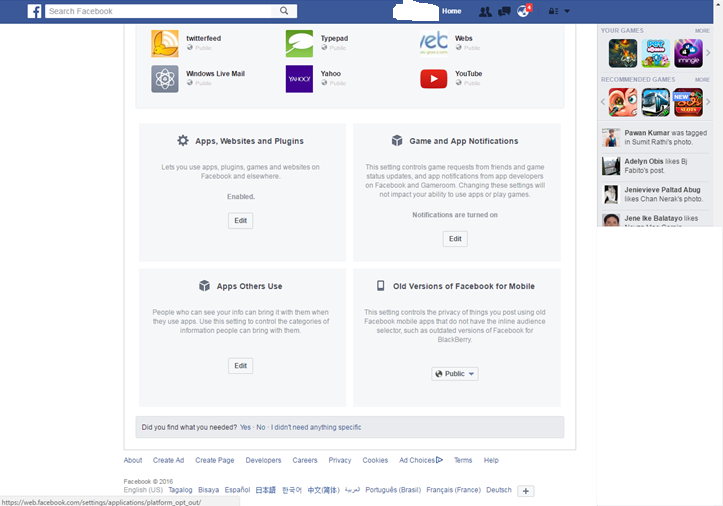 And also you can block any friends that you want to block in the list of your friends.